This was my largest single harvest of figs this year. Ten. 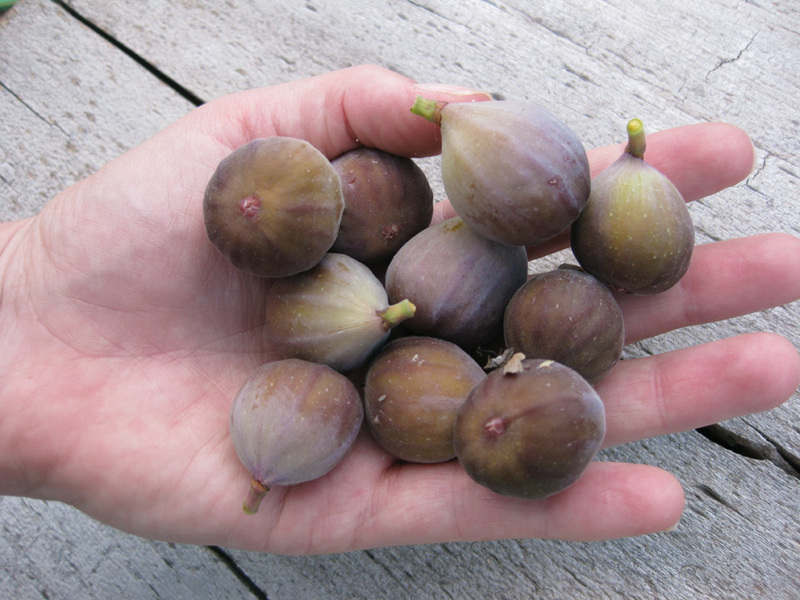 Not many figs this year, but at least they were tasty. We ate them fresh with a little goat cheese and balsamic vinegar and a glass of white wine. Yes, I think they are Brown Turkeys, but I'm not 100% sure because I dug up a runner off a big tree that was owned by an acquaintance, and they didn't remember what kind it was. I have another type of fig that was in my yard when I moved in and never fruited because it wasn't hardy enough and died back to ground level every winter. I bring the plant inside each winter, and even though it goes dormant and looks ugly, it's gotten big enough that it has started to fruit. I don't know what variety it is-- bigger green fruits. Wow - I can't imagine being able to grow my own figs...although come to think of it we could grow figs in Vancouver.